Ever since I was a kid I remember HoneyBaked Hams at friends holiday parties. I relished the salty ham and the crispy sweet exterior, often eating far more than my fair share. I am not alone in these memories. 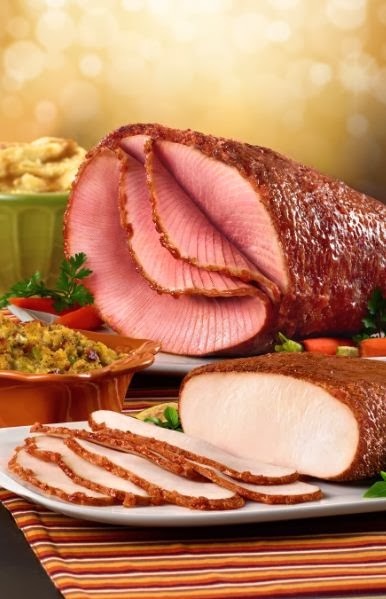 For over 40 years, HoneyBaked Hams has been a staple on holiday tables, with their crowning glory of their hams, and a variety of side dishes. These additions make being the perfect host look effortless. 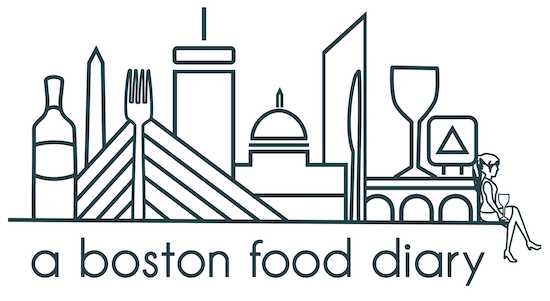 In honor of the holiday season, HoneyBaked Hams would like to offer a reader of A Boston Food Diary a $100.00 gift card to make all of your entertaining needs easier and more relaxed. Please leave me a comment on this post describing your favorite holiday party snack, and an email address so I'm able to contact you. Contest ends on December 16, 2013 at 5:00 pm EST. Entrants should be over the age of 18, and legal US residents. Great giveaway! I love little mini canapes as a holiday party snack. I'm a sucker for cheese and veggies. I love homemade cheese straws as a holiday snack! I love Buffalo Chicken Dip with tortilla chips for dipping. I have an easy recipe to make it, and it is an addictive snack. Great party dish too. 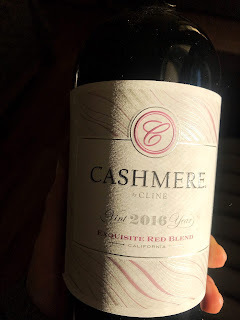 This is a great giveaway!!! I love making chocolate covered coconut "flakes" and Spring Rolls - I made them for a family party one summer and they've been requested at every gathering since! I love anything with cheese! I'm a fan of fruit skewers as a party snack. Guests appreciate having a healthy option, and they can be prepped ahead of time, since no cooking is involved. I love shrimp cocktail, very simple and just the best with good shrimp. I dearly love veggies and dips, olives and cheese. Little pimento cheese sandwiches on rye bread are always welcome. Shrimp ad cocktail sauce--yum, yum! My favorite party snack is crackers with cheese balls. I like when people do the little cheese balls with lots of pecans on the outside and cream cheese and ham inside. So, so good! I love hot, ham biscuits with Dijon! I like sausage balls or cheese and crackers. I love spicy chili sauce with cream cheese (dip style) and I use lime flavored tortilla chips! Swedish Meatballs! Best party food ever. My favorite holiday party snack to make is lamb chop lollipops. I sauté fresh, minced garlic in a good-quality olive oil and a little butter and drop in lamb chops coated with evoo and fresh rosemary, cook to medium rare and serve after spreading a little whole grain mustard on each chop. They're a great passed app and always a crowd favorite. Happy holidays to all. My favorite holiday snack is definitely sausage rolls! My Mum taught me to make them with puff pastry, sausage meat, sage, onions and a dash of pepper, delicious! My favorite holiday snacks are a nice brie with crackers, stuff mushrooms and cookies! Every Christmas eve my Gram makes these potato cake things. One year she burned them and some of my family went out and bought new ingredients because we all agreed it wasn't right for them to be missing from dinner. We eat them plain or with mayo and canned salmon. That's my favorite holiday food! A Tasteful Nespresso Holiday - and a Give Away! Nespresso UMilk Give Away Winner!